Since one of my five prepared stories for Jeopardy! 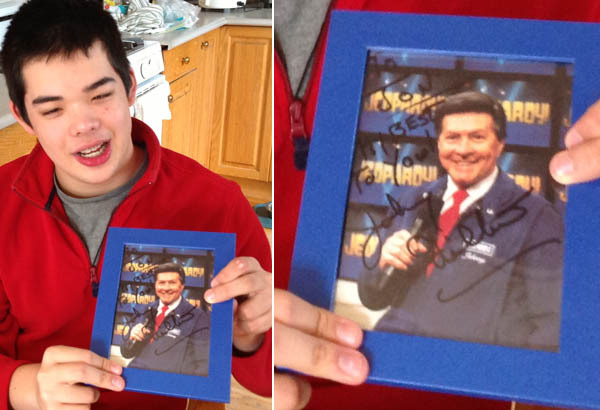 included one about how much Jon loves the show and Johnny Gilbert’s voice, the show staff got Gilbert to autograph a picture for him. What a lovely thing to do! aww.. that is so thoughtful of them!! I am sure Jon will cherish this gift so much! yes, Johnny Gilbert is a legend in broadcasting… 88 years old and still going strong!